kun mao nay kagwang, why man nganlan man ang tawong mosimang ug kagwang? The Philippine flying lemur (Cynocephalus volans) is one of two species of flying lemurs, the only two living species in the order Dermoptera. Additionally, it is the only member of the genus Cynocephalus. Although called a flying lemur, it cannot fly and is not a lemur. The Philippine flying lemur is one of the two living species of the order Dermoptera. 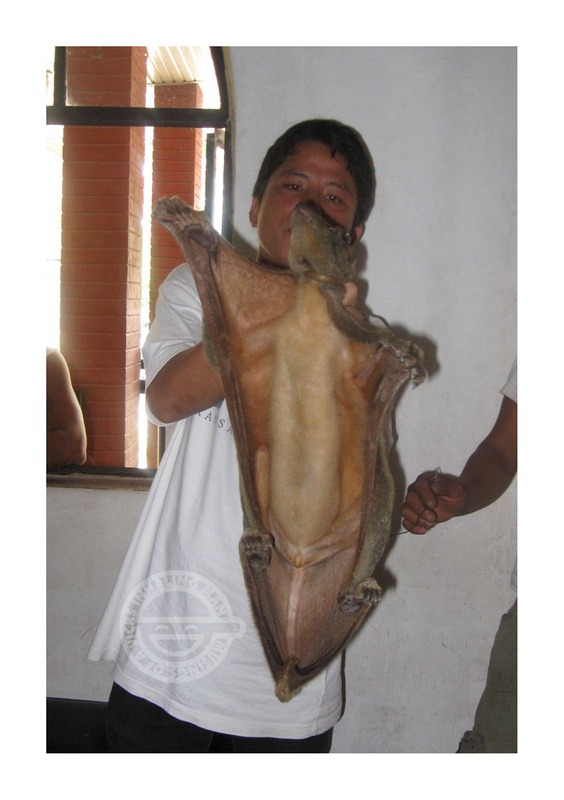 The other species is the Sunda flying lemur. An average Philippine flying lemur weighs about 1 to 1.7 kg (2.2 to 3.7 lb) and is 14 to 17 in (36 to 43 cm) long. It has a wide head, small ears, and big eyes. Its clawed feet are large and webbed for fast climbing and for gliding. Its 12-in (36-cm) tail is connected to the forelimbs via a patagium. This membrane helps it glide distances of 100 m or more, useful for finding food and escaping predators, such as the Philippine eagle. It is nocturnal and stays in hollow trees or clings on dense foliage during daytime. The female Philippine flying lemur usually gives birth to one young after a two-month gestation period. The young is helpless and attaches itself to its mother's belly, in a pouch fashioned from the mother's skin flaps.